16.7% - The amount of additional data about reality absolute we get to consciously process when we add the 6th sense and compute reality/make decisions based on the energy inclusive paradigm. 6th Sense - The sense of felt physical sensations in the body which have no physical origin. See also Emotions. Aroma Energy - Working with the energy of aromatherapy essential oils instead of the chemical properties. Artefact - Energetically significant object, a keeper of energy information that acts as a doorway to a specific place in time and space. Art Solutions - Making energy art objects to provide a healing process and the solution to a problem in the creation of the art solutions object. Aspect - (1) One of the 23 The Genius Symbols which denotes an aspect of a person or of a situation. (2) Term used for a past, future or parallel self in Project Sanctuary & Events Psychology (see also Aspect Model). Aspect Model - Events Psychology model which replaces the "parts model" as a functional way to deal with different human states sequentially across time. Beauty T - EMO for creating a beautiful energy body and healing the self image from the ground up. Cascade - An energy occurrence where energy flows so fast, the conscious mind can't keep up and internal representations fall like a waterfall. Always leads to a serious Energized End State. Originally from Project Sanctuary, which had an exercise called Tripping The Cascade. The Classic Game - Project Sanctuary technique to "find the right place in time and space" in order to create a shared habitat to receive information from the Energy Mind. Also used in The Genius Symbols. The Click - Originally from EMO Art Solutions, The Click is a distinctive electric 6th Sense sensation when something "clicks together" and isn't just right, but absolutely perfect. Client Avidity - A state of excitement and joy in clients who WANT to do energy work and work together gladly with the energy practitioner (the opposite to Client Resistance). Client-Practitioner Dance - A way of interaction between the client and the practitioner which allows both to bring their best healing efforts to bear on the problem in hand and which puts the client in charge of directing the healing session towards WHAT THEY WANT absolutely, and nowhere else. The Client-Practitioner Dance model has proven so effective, it has also been adopted for Events Psychology to give practitioners of energy psychology the advantage of creating safe, meaningful and helpful relationships that have the power to heal. Now simply called "The Couple Bubble" as this is in action in more than just a "therapeutic" relationship. Creative Template - A model for people to work towards not some artificial ideal, or try to turn the clock back, or even worse, adopt someone else as a model, but to find their own "best possible working order" at this time and tune systems towards that. More information. 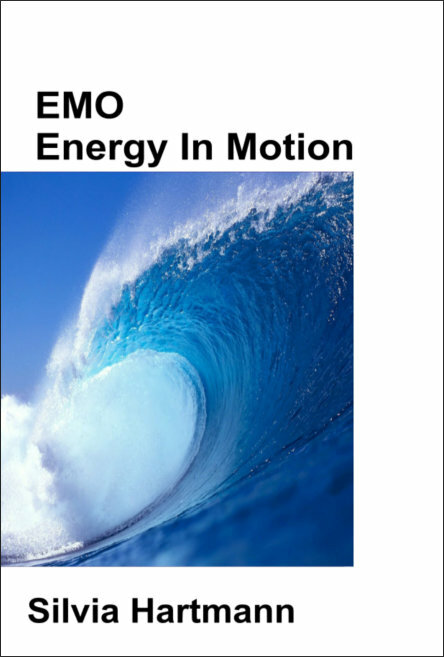 EMO - The foundational system of Modern Energy created by Silvia Hartmann in 2002. EMO Primer - EMO theory in a nutshell. Energetic Relationships - The paradigm shifting difference between modern energy work (EMO, Energy EFT) and the old oriental approaches. Modern energy work is relationship based, flow based, not based on the idealised model of a single human being. EFT Master Practitioner. Energism - The field of modern energism, the Third Field. Energist - An energist is a person who does not "believe" in energy, but has experienced the reality of energy for themselves, in their own personal experience. Energized End State - The aim and outcome of any EMO session - to feel energized, empowered, happy and fully alive. 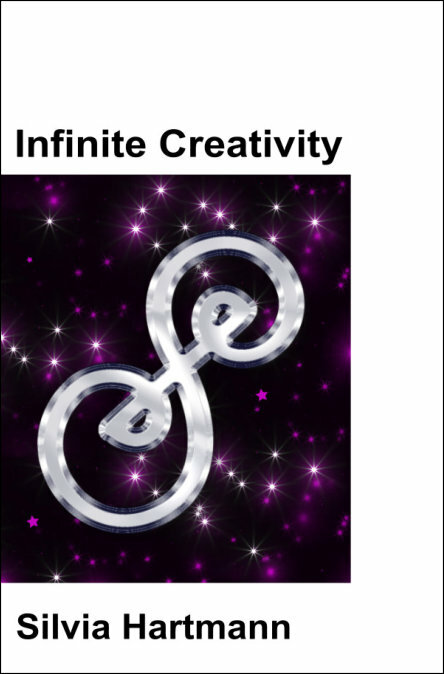 Energy Art - A work of art created with energy in mind and/or using the Art Solutions process. Energy Awareness - The basic human skill of "reading energy" through the interface of the body, i.e. feelings and sensations. Energy Body - The human energy body, the aspects of the human physical body that are made of energy. The energy body is a part of the greater human energy system, which in turn is a part of the human totality. Energy Dancing - A modality to engage the body, the conscious mind, the energy mind, and the energy body together all at the same time to work on an existing problem in self help. Energy Body Stress Chart - The objective version of the SUE Scale, showing how different energy levels influence mind, body and spirit, based on The Harmony Program. Energy Dimensions - The worlds of energy that exist side by side with the Hard. 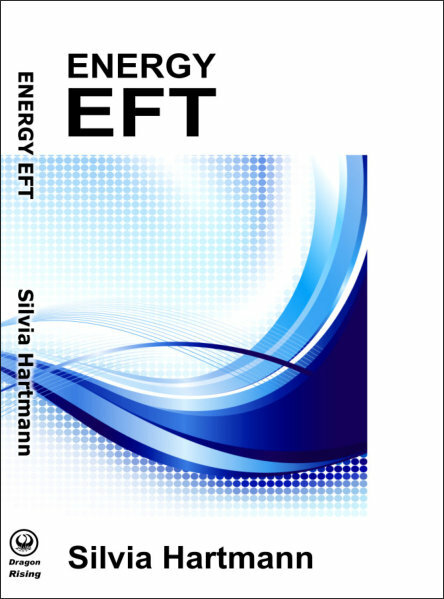 Energy EFT - The 2nd generation version of EFT with energy in mind. Uses the SUE Scale, a number of changes to the Classic EFT treatment flow and the EFT Heart & Soul Protocol. Energy Exercises - Simple energy exercises for beginners. Energy Form - Something made from energy. Energy Healing - Using energy to heal the energy system. Energy Hypnosis - A new form of modern hypnosis designed to engage the entire human totality - mind, body, energy body, energy system and including the conscious mind, and the energy mind. Energy Magic - A new form of magic based on the principles of energy. Energy Magician - A person who practices Energy Magic. Energy Mind - The "energy head" of the energy body in human beings. Energy Nutrition - The human energy body has a digestive system that needs to take in energy forms and frequencies, take out the goodness for its own healing, growth and maintenance, and let go off the rest. A lot of people suffer from energy malnutrition and this stops their energy immune systems from working correctly. Energy Object - A physical object that had its energetic dimensions altered by design or accident. Energy Psychology - Psychology that takes the human energy body into consideration. Energy Reversal - A part or all of the energy system flowing in the wrong direction, causing significant disturbances. See also Psychological Reversal. Energy Vampires - 1. Actual people who take more than they give in energy exchanges. 2. Fictional Energy Vampires from Vampire Solstice, a modern energy based reworking of the vampire myth by Silvia Hartmann. Enlightenment - The moment a person becomes consciously aware of the existence of layers of reality beyond the hard. Also see energist. Entity - A collection of energetic data people have relationships with. EFT Master Practitioner. Environmental Energy - Energy forms and ereas in the environment. See also Home Harmony. Even Flow - A core concept of EMO that describes the best possible energy flow in any existing energy system. To re-establish the Even Flow is the aim of an EMO session. Events Psychology - The psychology of events and how to work with the events of an individual's life to bring about healing, change, learning and evolution. Friendly Fire - Injurious energies broadcast at the wrong person. Friends - Emissaries communicating from and through the energy mind. Project Sanctuary. Future Orientation - Things in nature go forward, never back. Any attempt to reverse future orientation can only lead to suffering. See also The Others. The Game In Space And Time - Project Sanctuary, also refers to The Classic Game. The Genius Symbols - A set of 23 symbols that serve as a Rosetta Stone to start the reconnection process between the energy mind and the conscious mind quite practically and easily. Habitats and The Infinite Habitats - The worlds the energy mind creates to tell us things about reality. The Hard - the physical level of things, including the physical body. The Harmony Program - The principles of energy exchanges between social mammals, and including healing high end behviour problems with love. Healing Events - High charged positive energy events in the energy body which change mind, body, and spirit (energy system) in a flash. The term "healing events" was first coined for Energy EFT in 2012; and Healing Events correspond to theEnergized End State from EMO and the Threshold Shifts from Project Sanctuary. A Healing Event is also a true enlightenment experience. Healing Habitats- Habitats to let a sick person rest and soak up essential energy forms to restore and recharge the energy system, and keep stress down which is so important. Heart Healing - Working with the heart of energy, the "nuclear reactor at the center of the human energy body". Heart Of Gold - Modern Energist's meta pattern for improving material as well as spiritual/energetic power & performance. HEROS - Higher Energetic Reality Operating Systems. See Triad Model. No Hierarchy - Concept from the Harmony Program that is used in EMO, The Client Practitioner Dance, Project Sanctuary, Energy Magic and Events Psychology. Home Harmony - EMO for houses, dwellings, and a person's environment. HypnoDreams - The Art Solutions created scripts for Energy Hypnosis using the basic poetry module with specific set ups relating to expansion, learning, discovery and conscious mind to Energy Mind connection. HypnoSolutions - The Art Solutions created scripts for Energy Hypnosis using the basic poetry module with specific set ups to heal, overcome or solve specific problems such as anxiety, grief, lack of luck etc. Magic Failure - Stress induced state where a person loses access to their energy mind. MEMEM - Magic Energy Memory Evolution Machine. Metaphor - Understanding metaphor as its own language form is essential for understanding people, their languages, their symbols and their worlds. Metasong - Language expression of an energy mind vision. Metastory - A Project Sanctuary or SuperMind story which is complex and lengthy, on the level of Lord of the Rings, Game of Thrones or In Serein, and may contain many, many threshold shifts inside. Modern Stress Management (MSM) - Energy chart/SUE Scale based update of the 1908/1950s models used currently worldwide in stress management. 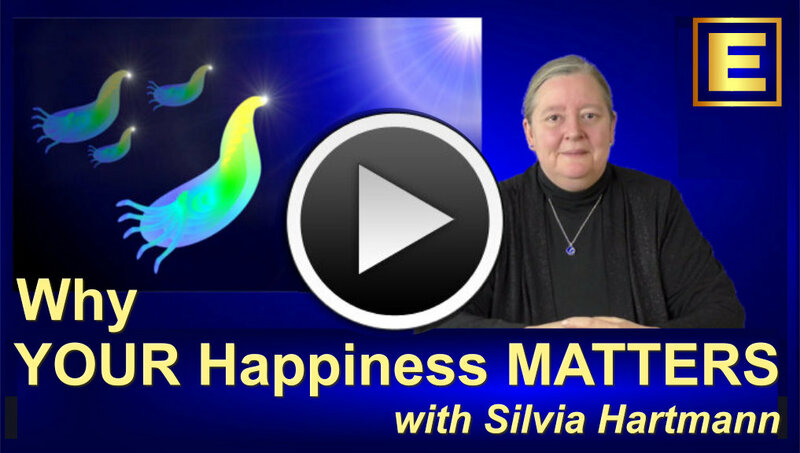 Explained in The Trillion Dollar Stress Solution by Silvia Hartmann. Nara - A term from Project Sanctuary to remind us that when we are dealing with entities in the autogenic reality (Sanctuary), we are dealing with an information set in essence. Short for, "Not a rabbit, actually." The Others - Conceptual device to enable future orientation that is not built on any past aspect. Otherworlds - Non-physical realms we can explore, including autogenic realities ("self made") and other worlds beyond that. Pertineri Market - The interdimensional trading place in Pertineri from SuperMind and Project Sanctuary. Psychosomatic Pain - The most painful form of emotions. Powers That Be - Unknown higher forces acting on a single human being. Project Sanctuary - Reconnecting the conscious mind with the energy mind to gain access to lucid thinking states and additional information from the energy dimensions. Pyramid Model of Stress To Success - Simplified SUE Scale/Energy Body Stress Chart for business use. Riversmooth - A simple energy shield. Sension - Word to replace "vision" and denote information being received through all six senses. Shields - Barriers made from energy designed to stop certain energy forms from entering the energy system. Soul - The third of the human energy supersystems, and the only one that survives death of the physical body. SUE Scale - Subjective Units of Experience Scale for use in Energy Psychology, EMO and Events Psychology to replace the SUD Scale (Subjective Units of Distress or Disturbance). The SUD Scale goes from -10 - 0, the SUE Scale goes from -10 - 0 - +10 to also indicate the range of positive feelings and emotions available. In the new energy treatment forms, the treatment is not complete until the experience is on the positive side of the scale. Totality - The COMPLETE human being which includes mind, body, energy body, energy system and including the conscious mind, and the energy mind as well as The Powers That Be. Threshold Shift - Change or healing or enlightenment event, Project Sanctuary term for "event". Triad Model - The three Higher Energetic Reality Operating Systems of the heart of energy, the energy mind, and the immortal soul, also known as the superHEROS of the human totality. Thought Flow - "Handing over" thoughts, memories and concerns to the HEROS for further processing. Zauberherz - German word meaning "Heart of Magic." See The Soul. Zauberwelt - Silvia Hartmann's 2005 introduction to living in a world that includes the energy dimensions. Vorsprung durch Energie!